An employee approaches you to request time away from work. During the conversation, he or she mentions that it’s related to a medical issue. Do you know what to do next? Handling employee leave requests related to medical or family issues can be tricky. 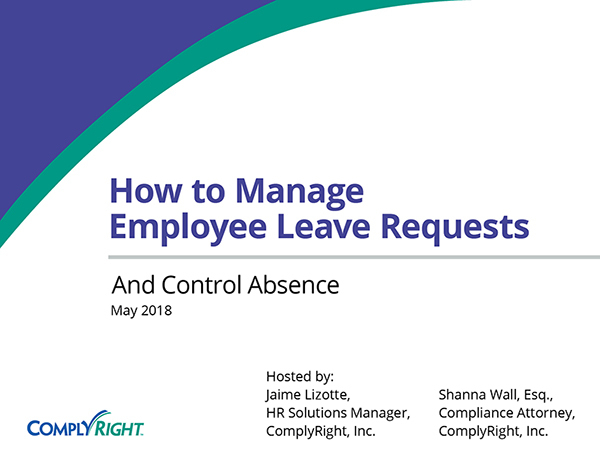 In our post-webinar Q&A session, Jaime Lizotte, HR Solutions Manager and Shanna Wall, Esq., Compliance Attorney, addresses your biggest concerns and put you on firm footing. 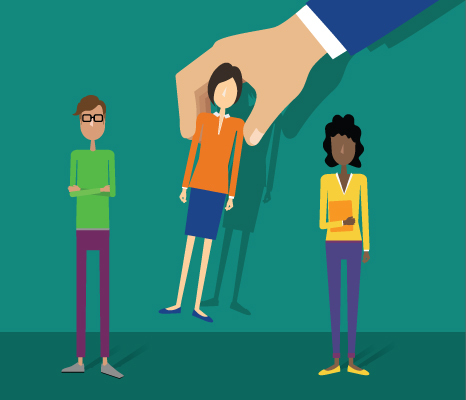 What is the employer’s responsibility if there are fewer than 50 employees in the company? If there are under 50 employees, then the company is not obligated to offer FMLA to its employees. However, that doesn’t mean it can’t. It just means that, if an employee were to request FMLA leave, you wouldn’t have to go through the process of qualifying the employee and event, because you are not obligated under federal law to offer it. However, you still want to check with your state and local laws to make sure they do not differ from the federal law and that you are sure you’re compliant. Is there a place to find city, state and local laws on FMLA? No, not an all-encompassing list. States and cities may have information online somewhere that can help you out, and of course, the laws themselves can generally be found online too, with a good deal of searching. Who is considered immediate family when it comes to FMLA? Immediate family, as explained in the FMLA regulations, is spouse, parent or child. However, as we stated during the webinar, it’s important to understand both your state and local laws as well, because immediate family could differ from the federal law and include others. If an employee’s primary job is standing and lifting, and, upon return from leave, has a doctor’s note that restricts him from standing and lifting, who initiates the discussion of accommodation? If you have a doctor’s note that gives restrictions, then it will be the employer’s responsibility to engage in the interactive process under the ADA to determine whether accommodating those restrictions will cause an undue hardship. Remember, it is the essential functions of the job that you really want to focus on. Can the person’s job be done sitting down? Are there other accommodations that could be appropriate, such as moving him to a different position that meets these restrictions while an accommodation is needed, for example. 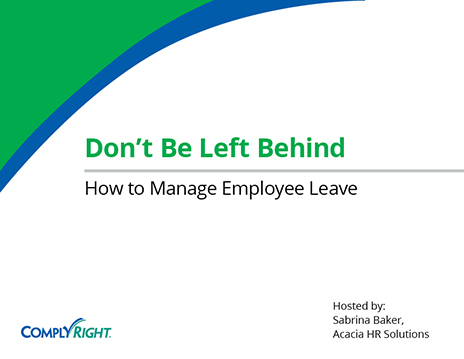 How much extra time do you have to give employees under the ADA, once they have exhausted FMLA leave? So this is not a clearly defined answer. Under the ADA, you have to provide a reasonable accommodation as long as it does not cause an undue hardship. So what actually is reasonable? And when does or will reasonable turn into an undue hardship? You will have to engage in the interactive process required by the ADA to determine what may be reasonable under the circumstances and what will cause an undue hardship. Courts in more and more jurisdictions may hold some more definitive answers as cases get resolved, but, right now, all that seems clear is that an indefinite amount of time needed for leave is probably not reasonable. So someone saying they need leave but with no idea about how much time off they may need is probably not reasonable. Likewise, many courts are starting to find that, typically, 4-6 weeks may also start to become unreasonable and more likely an undue hardship on businesses, but again, every company’s needs and resources are different, so you really have to take a deep look into your situation and don’t just decide on an arbitrary number like 10 days, or 20 days, for example, being your limit for leave. What questions can I ask employee as a supervisor to figure out if an employee’s absence is an FMLA-qualifying reason? Which FMLA reason is applicable for this absence? If absence is not for an employee’s own serious health condition, whom is the employee caring for today and what care will they be providing? You can also ask employees why they are out and whether they’ve been out for this reason before. Will the employee see a healthcare provider for the injury/illness? As a best practice, we recommend to just provide employees a medical certification form if you think their absence may qualify as an FMLA-event. How can I determine if my employee’s health condition is serious enough to qualify for FMLA? Any period of incapacity that is permanent or long-term (for conditions such as Alzheimer’s or a stroke) Any period of incapacity for treatment of a chronic condition such as asthma, diabetes, epilepsy, etc. Unless complications arise, the common cold, the flu, earaches, upset stomach, minor ulcers, headaches other than migraine, routine dental or orthodontia problems, periodontal disease, etc. What states require paid sick leave? This is a great question, and I’m glad it was asked, because this is an area that is very important and we didn’t really get a chance to discuss it in great detail in the webinar other than to say, make sure you are aware of state and local laws that allow for leave, because we really focused on federal laws. Sick leave laws, as of right now, are state and local law concerns and not federal. There is no federal sick leave requirement at this time. Right now, however, there are about 10 states that require paid sick leave. California is a paid sick leave state, along with Rhode Island and New Jersey, the newest states. Rhode Island’s and New Jersey’s laws actually take effect later this summer and fall. A few other states include Vermont, Oregon, Massachusetts, for example. Besides states, some cities are also enacting their own paid sick leave laws like Chicago, Minneapolis/St. Paul, New York City, to name a few. Again, this isn’t an exhaustive list. So please check your state and local laws. Also, the states and cities I just mentioned have paid sick leave laws. Other jurisdictions may have sick leave requirements as well without the paid component. Some states, Georgia, for example, don’t require sick leave, but the law says if you do give sick leave then you have to extend leave to care for certain family members as well. Do you think that all states will start requiring paid sick leave? So there is no way to know what the future holds for sure. And though we may never see all states require paid sick leave unless federally forced to, I do believe that we will see more and more states join the bandwagon as time goes on – especially if we don’t see a federal law enacted soon. Do you have a website or tracker I can access for tracking leave time? I am new to benefits. Actually, I mentioned the Time Off Request, which is a part of HRdirect Smart Apps, and it’s a cloud-based software that is easy to implement and helps track any planned absences for your employees by allowing them to request time off and you approving or denying it all in the app. It keeps a history of all the requests made from employees, whether approved, denied or even cancelled so you can view their history. And as you are viewing requests to approve or deny, you also can see which other employees are already scheduled to be out on the day or days requested, to assist you better in making your decision. And you also can provide permissions to your managers or supervisors so they can manage and approve or deny their own employees time off. The app is also extremely affordable for small businesses at only $60 a year. And it comes with Free Employee Records – helping you to move your employee files to the cloud, for free!For more information on the Time Off Request Smart App, go to HRdirectapps.com.